MHP has close links with the University of Gloucestershire; all of our landscape architects studied there and have continued to be involved with the faculty long after graduation. Directors Paul Harris and Anna Treby have lectured at the University, as well as being involved with examination assessment and course mediation. We have also offered occasional summer internships and work experience to University of Gloucestershire students, when our workload capacity allows. This week MHP were at the University of Gloucestershire Careers Fair, showcasing our landscape design and our arboriculture disciplines. 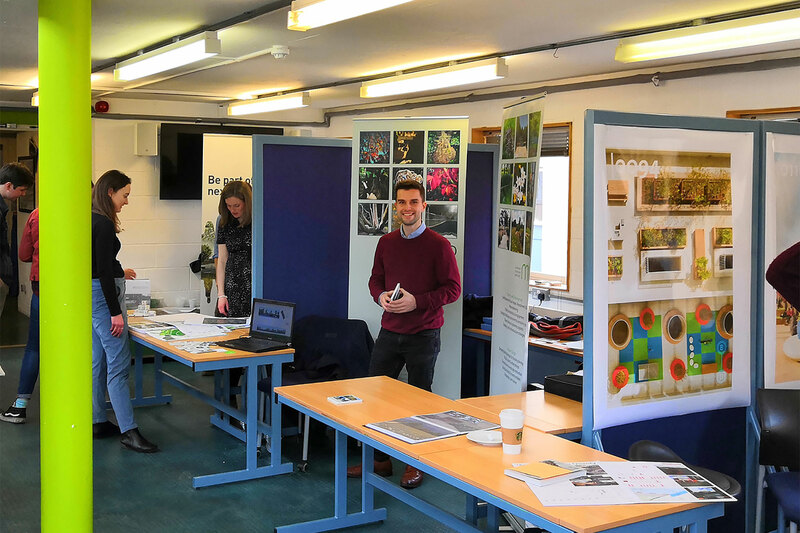 Ben and Dan chatted to a steady stream of people, many of whom were current landscape architecture students that graduate this year, with others that are earlier in their course and still developing their design styles and interests. There were also enquiries from students in other undergraduate fields, who may be considering a conversion course to landscape architecture for postgraduate study. It was very heartening to see so many evolving portfolios and to hear aspirations for potential career paths ahead, the day was a great success. The future of the landscape architecture industry is bright; we look forward to the innovation and energy that new entrants to the profession will bring.